It’s your child’s first dance recital, what an exciting time! For first time dance parents, recital day can bring on a little anxiety. We are here to help! We want this day to be perfect for you and your precious dancer. So much planning goes into this event. Knowing what to expect will help us all breeze through the experience successfully. We don’t want you to feel overwhelmed. From tots to teens and in between, the information we have prepared for you will help you navigate through. Let’s start with a good night’s sleep the night before! Cranky dancers will definitely add to your stress. You have a busy day ahead of you and a well-rested dancer and parent is very helpful. What is rehearsal day? Our rehearsal day does not require students to wear their costume. Please leave all costumes at home. As you have already been informed, students come to rehearsal day, in their appropriate dance attire, appropriate shoes, on time, ready to dance. Students will arrive at their scheduled time and will meet their teacher in the auditorium. All students have been scheduled during half hour time slots. Students can sit together as a class until they’re called. Teachers will bring classes up on stage for students to become familiar with the stage, the lights, placement, etc. Generally classes do a run through of their dances at least twice. This is why it is so important for you to be on time. We never run late and always finish early. Your total time will be thirty minutes but if your group is first, it could be even less. And yes, we invite you to video and take lots of non-flash photos. We want you to enjoy this day as well. Costume information. By now, you most likely have your costume. Please avoid the temptation to let your child wear costumes before photo day. Costumes should look new for their photos and for their performance. Costumes can be uncomfortable at times. The sequin or trim can become itchy. If you have this situation, you can line the inside of the trim with some moleskin (can be bought at a fabric store) or a little adhesive and felt. This often helps. No underwear is to be worn under tights, no undershirts are to be worn and absolutely no jewelry. No underwear may seem funny to you and to your dancer, but it really shows through and is obvious under the costumes. It’s just like wearing a bathing suit. Please be sure you are aware of the tights and shoes needed as well as how your child’s hair should be worn. If you are unaware, the front desk has all that information for you. It also helps to keep accessories for each costume in a zip lock bag with each bag attached to the costume. If you have multiple costumes or accessories, label everything. Show day- Bring snacks and activities. Although our shows are short, arrival time and show time combined can seem long to young children. You should arrive one hour prior to show time and the show shouldn’t be more than an hour. Upon arrival, you will drop your child off in their assigned dressing room. In order to keep everyone secure and allow for a smooth performance, you are not permitted to go back and forth. After the finale, one family member, preferably the family member who dropped your child off, may pick dancers up from their respective dressing rooms. Manhasset students will be released through the side stage door of the Landmark Theater, one class at a time. Signs will be posted so you know where drop off is. Dancers are cared for by backstage parents and staff. We still may need volun- teers. Please speak to the front desk if you are interested in helping. If you have a teenager looking for service hours, we are happy to have them help us! Backstage volunteers do a great job, but preparing your dancer to be happy when he or she is back stage can really help. We suggest coloring books, small games and non-messy snacks such as pretzels, a small sandwich, granola bars but please NO NUTS! Clear liquids only, water or lemonade. We also recommend all dancers use the bathroom prior to being left with the backstage par- ents. Bathroom runs become very time consuming, limiting the liquids will help as well. Be prepared to stay and support every num- ber, students stay behind stage until the parade of dancers at the end of the show. This is a fun, exciting part of our show that they really love. Hair and make-up. Remember, we are on stage! Lights can definitely drown out a performers coloring. Plus, this is the fun part for the dancers. They LOVE glamming up for show day. For the girls, we suggest some light blush, some pink lip gloss and if they want, a little shadow. Boys, a little cheek color doesn’t hurt but don’t stress them out if they look at you cross eyed for even suggesting such a thing. Hair should be exactly how your teacher has noted (again check in with teacher or the front desk if you are unaware). Hairspray and Bobbi- pins are helpful tools. Don’t stress, we keep it pretty simple. Tickets? What tickets? Why am I purchasing a ticket? Recitals are an enormous cost. All studios sell tickets to their recitals. Ticket sales cover the cost of the venue, staffing, music, lighting, technicians and other expenses that come with producing this fun filled event for your children. All seating is reserved, no rush, your seat will be waiting for you. On-line tickets sales make the whole process even easier. Plan for a gift. Recital gifts are a strong tradition in dance. Flowers are typical. We suggest you order from your local florist and get them the day before. Why stress the day of? Recital collectable bears and stuffed animals will also be available for purchase the day of the show in the lobby. The kids love them and they are super adorable and a great keepsake. We strongly suggest no balloons. They are a real distraction in the auditorium. Keep taking classes! 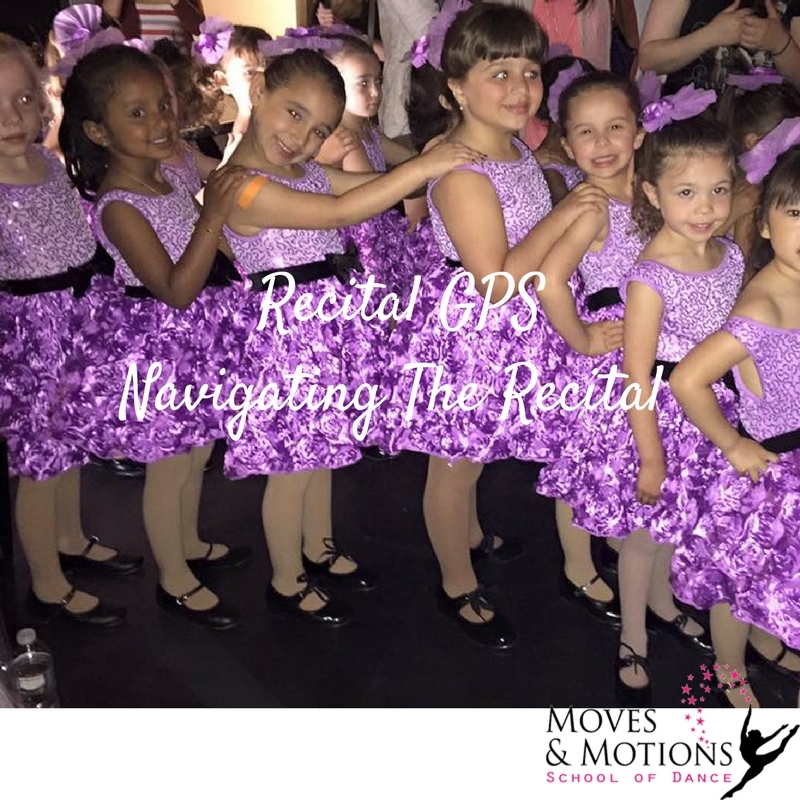 The fun doesn’t end at the recital! We have classes year round so you can continue to grow and improve as a dancer! We have many dance classes and camps scheduled for the summer! We hope to see you all of you there!